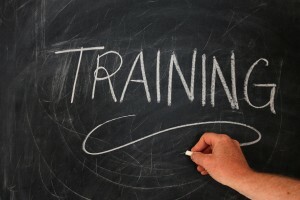 Did you know that CITN offers customized training? Because we do! We can bring the trainer to you any time, anywhere in BC or Whitehorse. Or, we can host a private session at a local venue. We handle all of the logistics, from booking the instructor to deciding on catering. CITN prides itself on its approach to customer service, and one of the cherries on the top of the CITN cake is our ability to provide exactly the training you need with just one email. Our project coordinator once organized a trainer to go to a client’s job site with 12 hours notice. She hasn’t stopped talking about it since, but we’re okay with that. Because we offer about 300 courses per year in the classroom, we have an extensive network of training providers, and we know they’re good at what they do. We can bring a trainer to you for everything from hands-on equipment training to supervisory and management skills to workshops such as Microsoft Excel or Responsibilities of Joint Health and Safety Committees. Anything you want, we can find it! How do you get access to this? Just one email to info@trainingnetwork.ca, and we’ll leap into action. We are never too busy to talk about training! After all, it’s right there in our name.